In each of the last two seasons, Philadelphia Eagles running back Darren Sproles has missed a big chunk of time. In 2017, he simultaneously tore his ACL and broke his arm on the same play, costing him 13 regular season games, plus the Eagles' playoff run. In 2018, after going through rehab from that ACL tear, Sproles was "day-to-day" for about three months with a hamstring injury, missing 10 games. Sproles will be 36 in June, and he may still want to play in 2019. 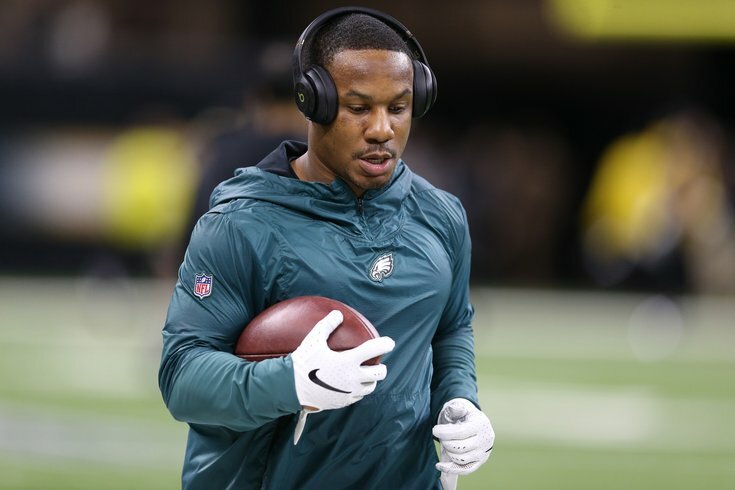 Dave Weinberg of The Press of Atlantic City caught up with Sproles this weekend, where Sproles indicated that it was his decision whether he would be back with the team or not, as in, if he wants to come back, the Eagles would have him back. At the NFL owners meeting last week, both Howie Roseman and Doug Pederson sort of backed that sentiment. "Everyone knows how we feel about Darren Sproles, again as a person and a player," Roseman said. "There are not many guys who have walked through this building who have higher character, better leadership ability, and have the chance to go to the Hall of Fame. So I think that everyone just needs time to get away and you kind of reconvene those conversations at the appropriate time, and that’s what we’ll do." "I’d like to have him," Pederson said. "I can’t speak for Darren obviously. This is his time to make his decisions, but I would love to have Darren back. "I haven’t talked to him. You know, this is Darren’s decision, obviously we’d love to have him. I can’t speak for Howie or any of the other guys in the building. But we’d love to have him, we’d love to have all of our players back. But listen, this is their time. I get it. I was there once. But I respect his decision." Sproles carried the ball just 26 times last year, for 120 yards and 1 TD. He had 15 catches for 160 yards and 2 TDs. Sproles is good in pass protection, but at 36 years of age, he does not have the juice as a runner that he once did. He also hasn't had a punt return of 15 yards or longer over the last two seasons, albeit on just 11 opportunities. There's maybe an argument that Sproles could serve as a leader in the locker room, and provide depth off the bench, but he is not a player the offense should be relying on in any way, and a potential Sproles return should not be a reason the team should pass on a running back in the draft.